Many businesses use cash flow analysis without also using cash flow management planning and miss out on one of the most effective tools to put their company on a firm financial foundation. Cash Flow Analysis: An examination of a company’s cash inflows and outflows during a specific period. The analysis begins with a starting balance and generates an ending balance after accounting for all cash receipts and paid expenses during the period. 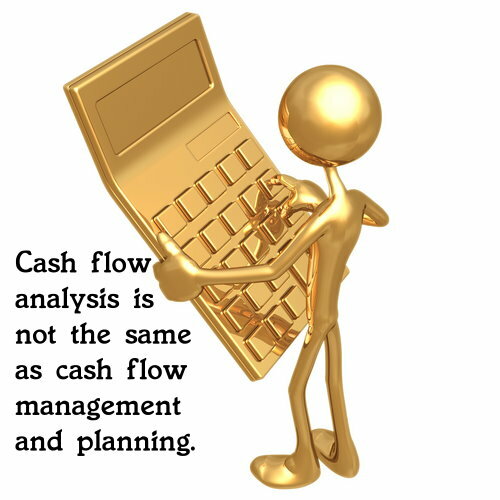 The cash flow analysis is often used for financial reporting purposes. That definition also asks you to look at cash flow projection, and cash flow forecast, which have the same definitions, so let’s quickly do that. Cash Flow Projection (Forecast): Estimate of the timing and amounts of cash inflows and outflows over a specific period (usually one year). A cash flow forecast (projection) shows if a firm needs to borrow, how much, when, and how it will repay the loan. While effective in what they do, give you a look back at the past from which to make future predictions, I have never liked looking into a crystal ball and trying to guess what is going to happen with cash inflows and outflows. I would much rather be in control of and managing what is going to happen with the inflows and outflows. Wouldn’t you? That’s where cash flow management and planning come into play, and let me say right up front that I am not using the traditional definition of cash flow management here. I’m talking about actively managing and planning out, on a weekly basis, how much is coming in, how much is going out, and how much is being set aside and earmarked for paying future bills, emergencies, taxes and business expansion. It also concerns building a realistic budget which becomes the real income planning target that has to be hit in order for the business to not only survive, but to reach its financial goals. 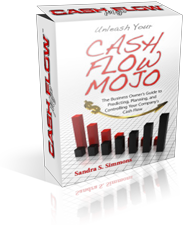 Lots of businesses are very pleasantly surprised when they figure out that the actions of cash flow management and planning can be done in as little as 30 minutes a week by using the Cash Flow Mojo® software. You can see a short 30 second overview video about it by clicking here, or you can take a tour of the software planning system by clicking here. Sure, you might get some information from doing a cash flow analysis, but it always begs the question, “What actions are you going to take using the information to make sure you reach your financial goals?” that is important. That’s why, in addition to a cash flow analysis, you still have to engage in cash flow management planning to be a successful cash flow manager.